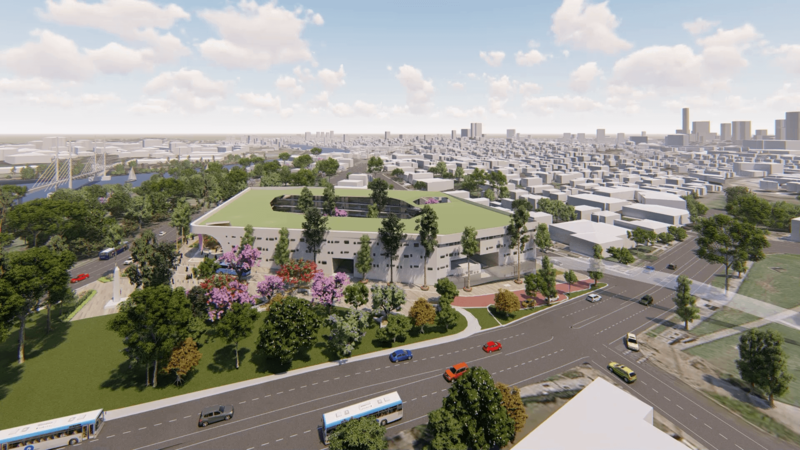 Queensland’s Department of Education shortlisted m3architecture to design a new school for 1500 students on a site in Dutton Park. At approximately 9000m2 in area, the site is half the size allocated to recent ‘vertical’ schools of the same population. 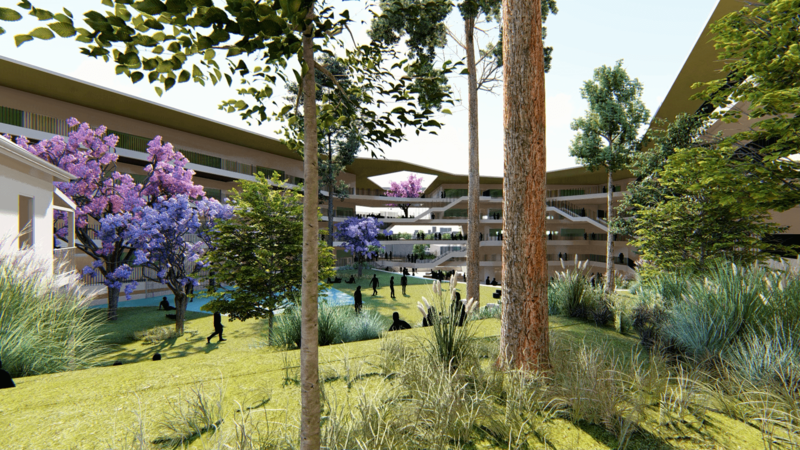 Based around the typology of the village, rather than the tower, the result is a high density, low-rise learning community (Locating approximately 11,000m2 of Net Lettable Area around the edges of the site). The project creates its own landscape, and in so doing naturally screens out the effects of nearby road and rail. Unlike typical ‘vertical’ schools, this community is not reliant on lifts to move students. Instead gently sloping, perimeter circulation and stepped landscapes enable access. The projects’ ideas are also adaptable, capable of lending themselves to a multitude of materials and trades, and applicable across various procurement methods. This approach allows the proposition to be developed in a way that responds to the availability of labour and materials (i.e. to be cost effective and adaptable to programme considerations). The building is publicly accessible at numerous locations, with the capacity to share facilities with the local community and/or control movement as the need arises. 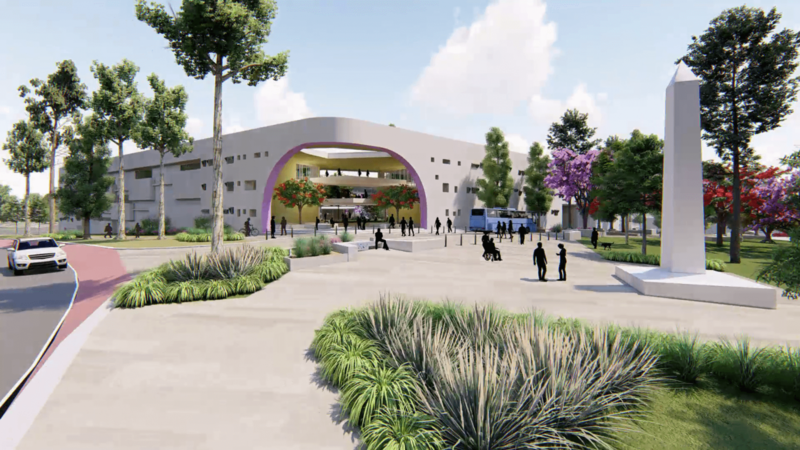 This is a school that could only belong to Dutton Park, and it has been designed as both a community of learning and a public building.